Dennis Nicolaas Maria Bergkamp was born in 1969 in Amsterdam, Netherlands to an electrician father. He was the middle child in a family of four brothers. Raised in a working class suburb, he was named after the Scottish striker Denis Law whom his father admired. He loved watching soccer on tv and playing it in the streets with the other children. His father was also an amateur soccer player and it from him where Bergkamp attracted his love for the game. By the time he was 11 he was spotted by Ajax and made his professional debut by the age of 17. Bergkamp scored 29 goals in 36 games in his first season and became the top goalscorer in the league. Due to these impressive results within a year he was drawing international attention from several European clubs. Initially Bergkamp joined the Italian club Internazionale in 1993 but it was a mixed bag for him. Joining Arsenal in 1995 rejuvenating his career and the clubs both. He helped the club win three Premier League titles, foud FA Cup trophies and reached the finals of the 2006 UEFA Champions League final. Bergkamp scored some of Arsenal’s most heroic goals which is why is he regarded as one of the greats for the team. He was regarded by many other players as the ideal soccer player dye to his physical fitness, mental strength and killer passes. Bergkamp succeeded Eric Cantona as the Premier League’s brightest beacon of European excellence. During his time at Arsenal Bergkamp emassed a whopping 120 goals, making him the 10th highest goalscorer in the club’s history. On the international front Bergkamp’s accomplishments were equally prolific, he scored 37 goals in 79 appearances for the Netherlands. The most memorable moment was his final minute goal against Argentina in the 1998 World Cup Quarter Final. It was a classic Bergkamp moment in which his touch and cool demeanour transformed the outcome of the game. 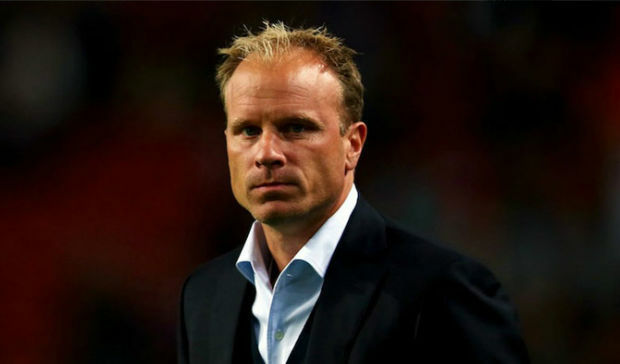 Bergkamp has been awarded with the FIFA World Player of the Year award twice. Pelé listed him as one of the FIFA 100 greatest living players. In 2007, he was inducted into the English Football Hall of Fame, the first and so far only Dutch player ever to receive such honour.